I want to use my existing tubing and connections with commercial kegs. 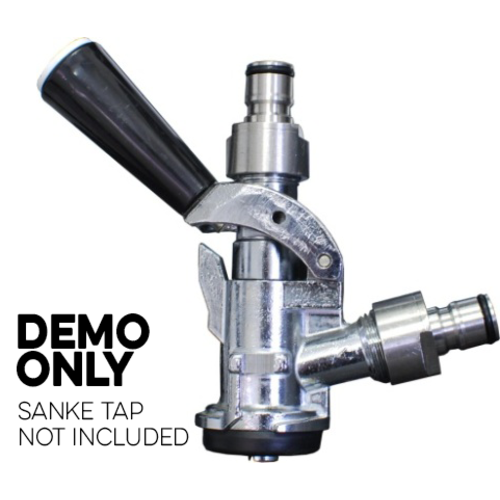 Will make attaching the Taprite Sanke Keg Beer Tap easier to adapt to my current gas and liquid set up. I need to go from ball lock keg that needs to attach to sanke system. What do I need? BEST ANSWER: You won’t find it here. 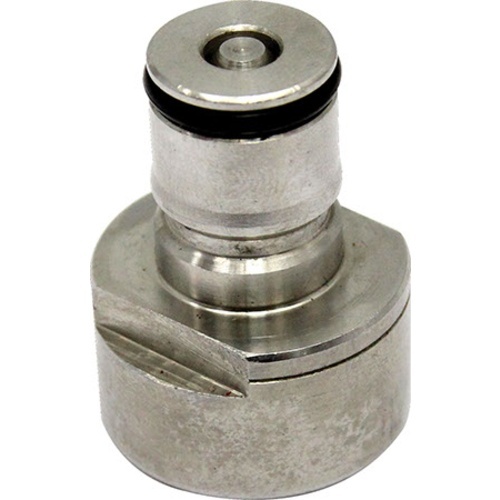 Use ball lock disconnects with 1/4" MFL connections along with swivel nut sets like KEG640 with barbs that are the same inner diameter of the tubing on the sanke system. Gas will probably be 5/16" ID and liquid (beer) will be 3/16" or 1/4" ID. These adapters will allow you to attach your ball lock fittings to the commercial sanke keg. You need one gas side and one beer side. Then you connect just like you do on a home brew ball lock keg. When attaching this adapter should the rubber check valve inside the sankey coupler gas port be removed or left in? BEST ANSWER: Hello Joseph - These come with a normal sanke beer gasket inside, it would be advisable to remove the check valve for a proper leak free mate. Rubber washers that ate supplied with adaptors are too soft. They deform and squish out of the sealing area when tightened onto the keg tap. Otherwise well made.